Hey all! Today I have something pretty interesting for you. It's more in depth than some of my other posts but I think you'll enjoy it! For today's nail art, I had an excuse to get more Sally Hansen Fuzzy Coat polishes. After I reviewed three for them, I knew I wanted more colors. I ended up buying Fuzz-Sea and All Yarned Up at Walgreens. AYU is one that I have wanted the longest. It honestly reminds me of a skein of yarn. Oh yea, while I was getting my polish, I saw they had the new issues of Nail It! in stock! If you check out page 75, you'll see lil 'ol me! Well, one of my manis anyway. My inspiration for my I Heart Nail Art mani today is my wedding. 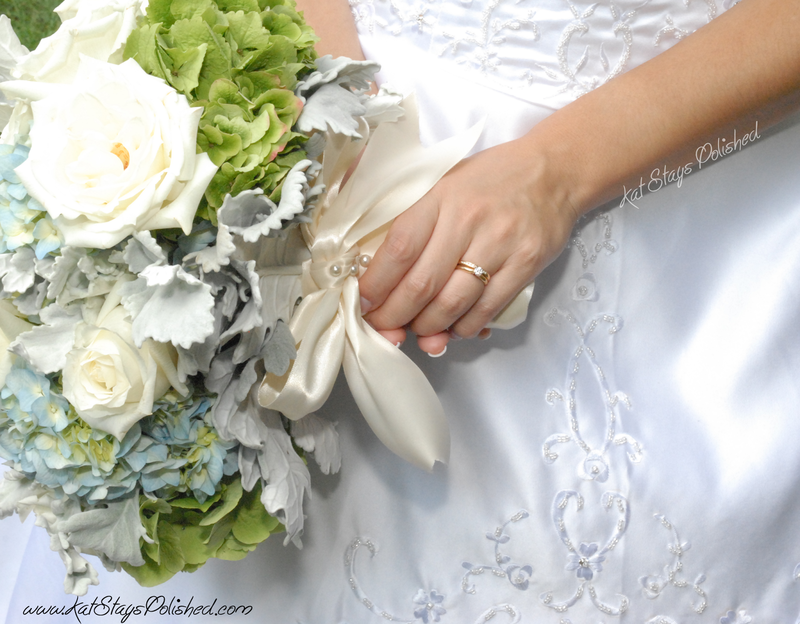 More specifically, the colors I chose for my wedding. In just about 1 month, I'll be celebrating my 2-year anniversary. Blue is my favorite color and green is my husband's. No wonder I am always drawn to this color combination. 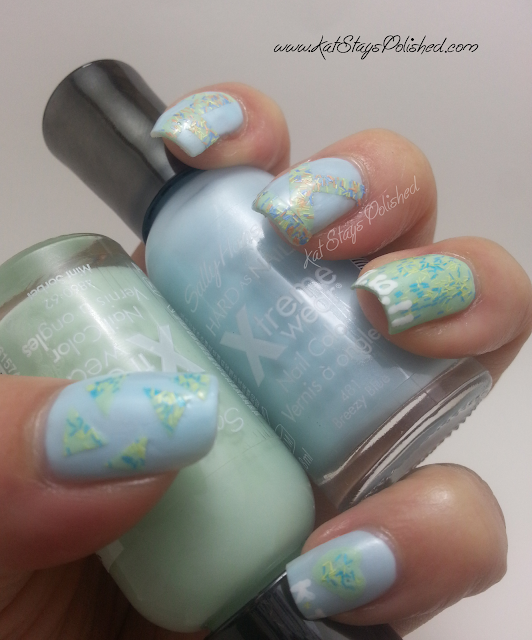 That's probably why I also picked up a light blue and green Xtreme Wear polish too! Okay, so the first step is to apply a base coat -- I used Sally Hansen Miracle Cure. Then I painted my ring finger 2 coats of Sally Hansen Xtreme Wear in Mint Sorbet and the rest of my fingers with 3 coats of Breezy Blue. 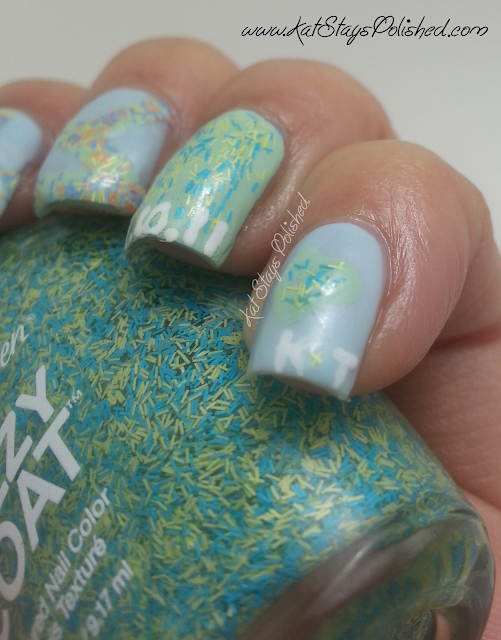 For my ring finger, I added 1 coat of Fuzz-Sea over Mint Sorbet and then let that dry. In the meantime, drop some Xtreme Wear White On onto a piece of foil/paper/plastic bag and break out your small dotting tool. I used the dotting tool to create our wedding date on the tip of my nail. Now, the beginning part is totally customizable and you can put whatever you want. It sort of reminds me of celebratory confetti. So the next step is to take a plastic sandwich bag and paint on 2 coats of the Mint sorbet. Once that is dry, paint on 1 layer of your choice of Fuzzy Coat polish. Let that completely dry. When you're sure it's dry take a razor blade ad carefully rock it back and forth over the polish. 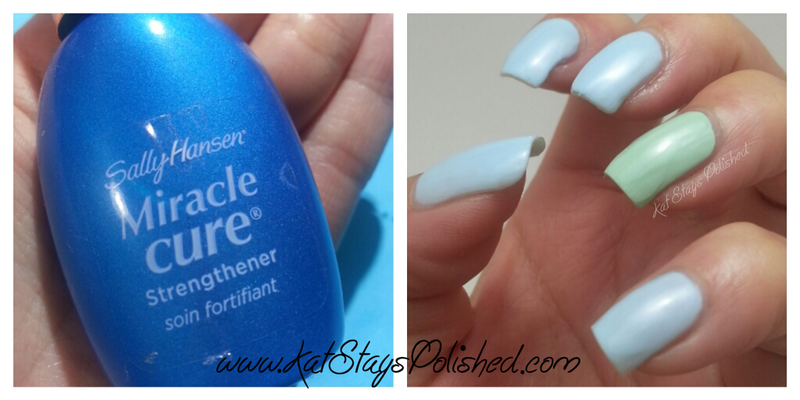 This will create polish strips that you can use to place on your nails. It also adds to the textured effect. You can also use an orangewood stick to carefully lift the polish off of the plastic bag. Now is the time to get really creative. For my middle and pointer finger, I took the strips of polished and sort of "blocked" off section of the Breezy Blue underneath. 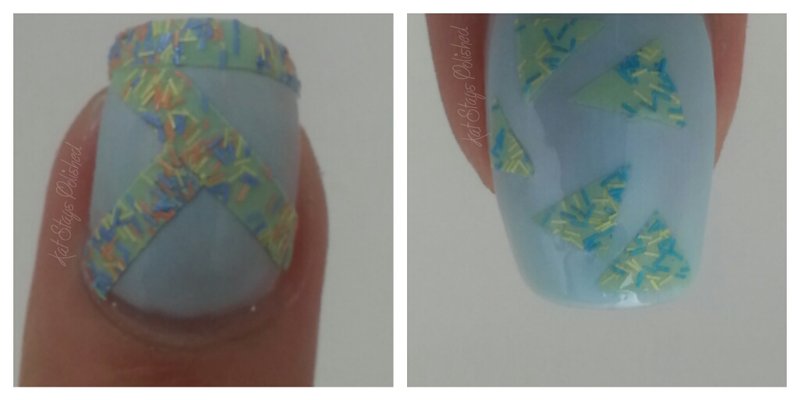 For my thumb, I cut out tiny triangles and randomly placed them around my nail. 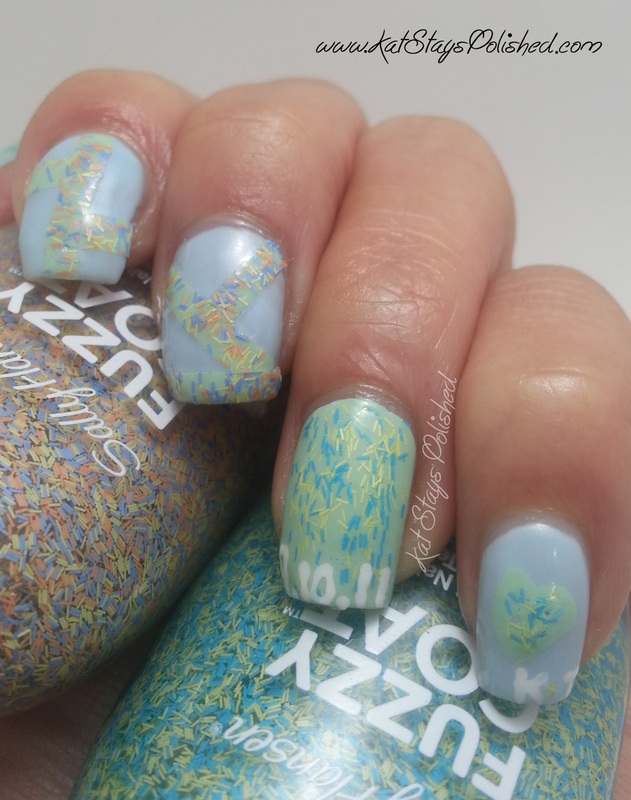 For my pinky, I just added a Mint Sorbet heart, topped it with Fuzz-Sea, added K+T and used two pieces of "fuzz" for my "+." Add top coat to all your nails and you're done! I hope you like what I came up with! 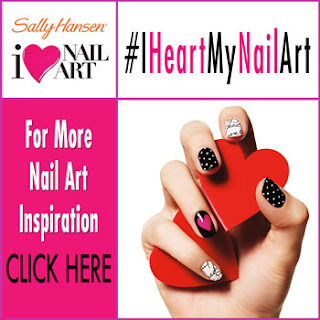 This nail art idea can be used with any of the Sally Hansen Fuzzy Coat polishes and any number of the Sally Hansen Xtreme Wear polishes! If you want to experience my shopping trip, you can also check out my Google+ album! Be sure to check out my Instagram feed too! 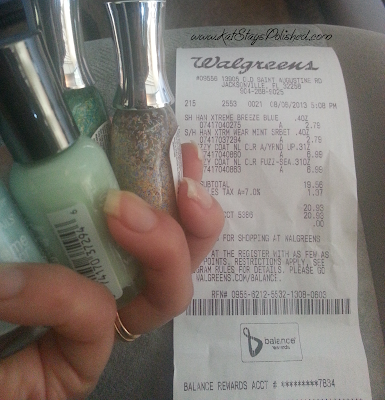 Be sure to also check out Walgreens and Sally Hansen on their twitter pages! Show them your nail art using these two polishes! Thanks Sarah! <3 I looking forward to my anniversary vacation in the Keys. We've never been! I love how you've used the Fuzzy Coat! Thank you Lisa, as always! Well dang, this is really cool and I'm gonna have to try it! Good job! Thanks!!! Post to my FB is you do it! I really like the designs you created and creating those strips, genius! 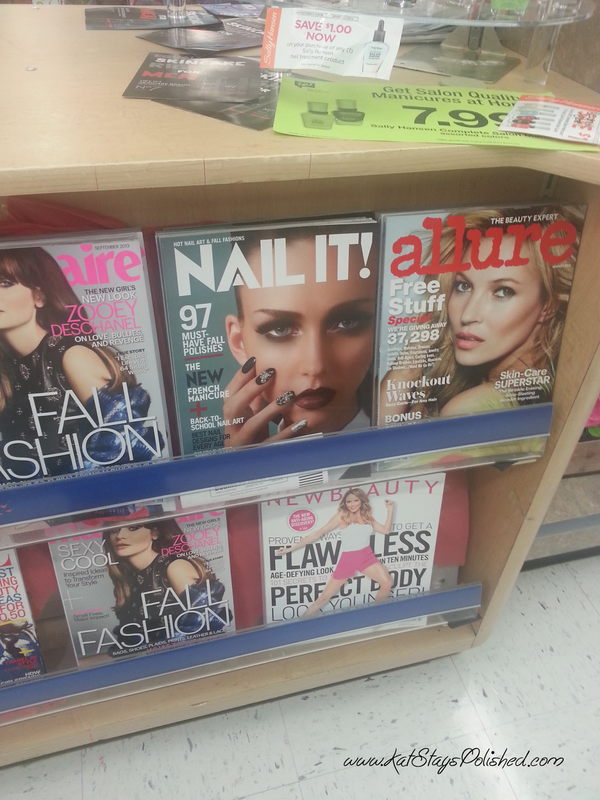 Congrats on being in the Nail It! magazine! Thanks so much! This was both challenging and fun!